Bling 8 & 9 marks the 10th anniversary of Zio. We started off with quirky eyeshapes available in a wide range of daring colors. Today we have expanded to a range with 4 series; Elegant, Premium, Functional and Minizio. We designed over 200 models & launched more than 1200 SKU to multiple countries in Asia and Europe. Bling 8 & 9 belongs to our best-selling Elegant series. 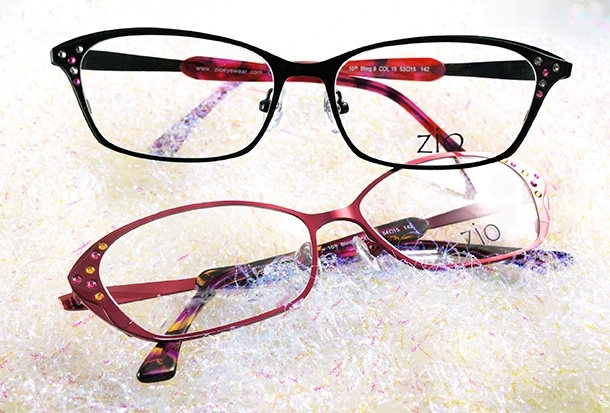 Adorned with Swarovski crystals on a single or dual colors frame, we used dual colors crystals on the frames, something that we have not done before, a first for Zio. The Swarovski crystals adds to the sophistication and luxury touch of Bling 8 & 9.